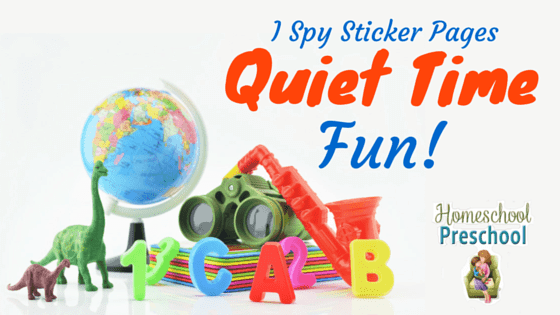 I Spy Sticker Pages for Quiet Time Fun! 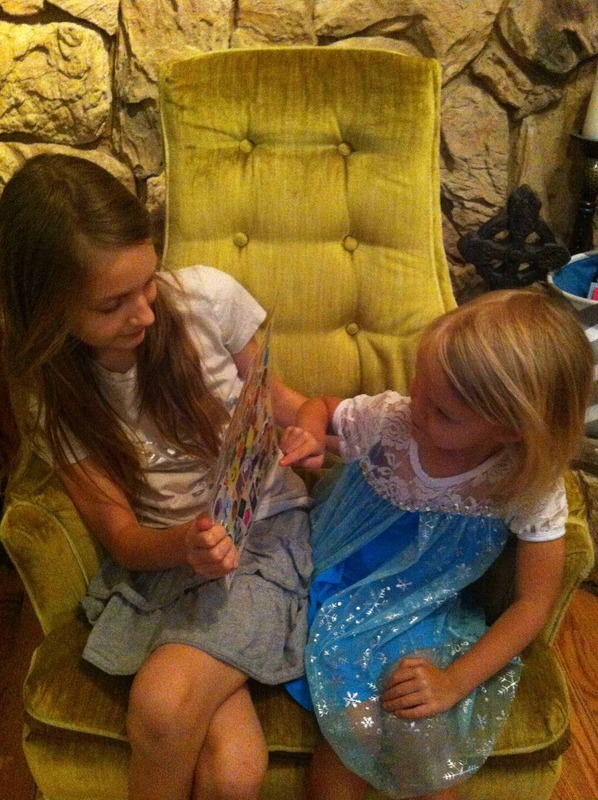 Little ones just love I Spy games! It must be searching through all the bright colors and the many different shapes and sizes to find something cute and tiny! My kids love to say “I Spy, With My Little Eye….” as they are searching. This game can be played anywhere and is great for long car trips or waiting at doctors offices. You don’t need anything to play this game, but sometimes it’s fun to have something to hold and look at while you are playing! I was hunting for some fun and simple crafts for my 4 year old to do when I came across a cute idea on Pinterest: Making an I Spy Sticker Page! This idea comes from The Muddy Princess. We have a drawer FULL of stickers! Stickers we get from Trader Joe’s or doctor’s offices, church, dollar store, birthday goodie bags, and more! Anytime we have extra stickers, they go in the drawer. This I Spy project is perfect for using up random stickers that have no theme. It’s always nice to clean out an overflowing craft drawer. 1. Find a nice piece of cardstock. Neutral colors are best since there will be so many colored stickers on it. 2. Get a huge pile of stickers and start filling the sheet. Try not to leave any gaps. 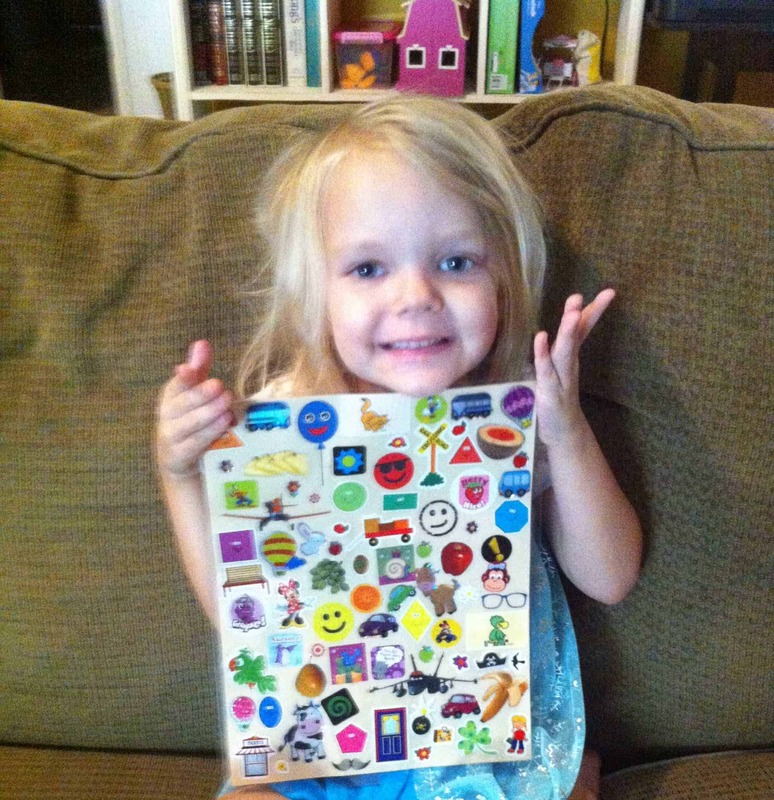 You may want to help your preschooler as they stick the stickers to the cardstock. Make sure that they don’t overlap the stickers so you can see each sticker clearly. This is our completed sheet. Look how proud she is! 4. Laminate your sheet to make it last! At first I didn’t laminate ours and stickers were falling off. A good laminator is a must have for preschool crafts and printables. It took me just a minute to laminate it and make it sturdy and waterproof. Now we have our very own, portable, I Spy Quiet Game. These are great to take on the road, if you will be waiting for a long time at an appointment, or just for quiet time during the school day.My oldest daughter likes to read the questions to my little one and help her search for the items. This works out great when I am doing phonics and reading time with my other daughter!